Check If This Exclusive Price Is Still Available! Finally, everything you wanted to know to prepare yourself for the crisis coming your way. All built into a guided, skills based training regimen that anyone can complete! Refined from the experience and knowledge base of the most highly trained and proudly decorated men and women from around the country. Your private coaches are going to walk you through every step of your journey. Sitting there now you know how comfortable things are. After all, we live in the greatest nation in the world. What do you do when your spouse slips and falls down the stairs? Do you know? Do you have enough to cover the medical costs? How about if someone breaks into your home? Do you own a gun? Can you defend your family? There is a laundry list of ways your day could go critically wrong. Do you have the knowledge and the skills ready to go when someone tips your normal day on its head? Fortunately for you, I went through exactly that. A normal day gone horribly wrong. That was the day I decided, I was not going to be a victim. I searched for coaches across the country to teach me the skills I found to be most crucial in surviving in the modern world. What I found was a group of highly skilled, highly motivated people that had a wide range of expertise - and now, I am going to share with you, what they shared with me. But ask yourself this first, are you ready to accept that ordinary days don't just happen? Are you willing to accept that hard work, training, and access to an elite training library to practical skill sets helps make you a better, more prepared person? If you are, I have something special for you. If you aren't then you are wasting time here and I would invite you to leave now and go back to watching that TV on your couch. Just do me a favor and do not call when you find yourself victim to some thug. You know you could have avoided the entire situation. Consider yourself warned. The SoS Academy is a vast library of specialized trainings you can use at your own pace. Hosted by some of the most sought after experts and coaches in the country, you will learn the skills you need to survive in the most extreme of circumstances. Take a look at everything you get with your subscription. It was only a few Years ago that I first took my son to the firing range. So inexperienced, so fresh to the experience. But you could see in his eyes that he as excited - which was only overshadowed by nervousness. The day was dedicated to him learning fundamentals, safety, and range etiquette - being a smart and polite young man, he picked up the etiquette quickly and others at the range commented to me about his maturity and how respectful he was of other patrons at the range. I brought for him my Ruger .22 pistol - small, easy to shoot, nothing special to brag about. His eagerness to participate was palpable and his eyes gave away the excitement that has built up in the early hours of the day walking through all the safety and protocols of using a firearm. MY Eyes were slowly slipping down his nose as he lined up to fire! In his excitement, he grabbed my glasses instead of his. As fate would have it, he forgot to take the safety off and we tabled the gun safely and exchanged the glasses. These are perfect for morning, day or night with the interchangeable lenses, and they will stay protected and safe with the included soft case. Check them out! - These are so good, I actually wear a pair as my regular sunglasses (when my son doesn't steal them from me). What are you going to get access to in the library? You are going to get access to the self defense secrets and top practical advice from real-deal weapons and self defense experts – and you full-blown access to the only close combat and grappling course in the world built as a fool-proof CURRICULUM for self protection against someone bigger and stronger. You get access to all of that for as long as you would like. We strive to bring you the best content available from the most skilled and highly trained experts - and you will get access to our ever growing library of trainings. One of lead instructors, Coach Daniel, earned huge respect as an instructor and as one of the new competitors in the northeast to grapple in “Open” weight-class tournaments, despite being 128 pounds soaking wet. Hand-to-Hand Combat & Ground Fighting: Discover the most powerful chokes, submissions, & joint locks that exist on planet earth today. Watch as our team of black belt experts show you their favorite moves for destroying bigger, tougher opponents from every angle and position imaginable. Filmed in an easy-to-follow manner, even brand new beginners will gain an understanding of how to defend, attack and survive any street fight with little to no blood or mess. Each of our instructors can charge over $150 an hour for private, 1-on-1 training like this, but you get it for just the monthly subscription price of $57.00. 100's of hours of training content that you can take and practice with immediately! This is a Fight for Your LIFE! There is no playing around in a street confrontation, and without knowledge of what to do when you get grabbed or throw to the ground (especially if the thug is smart and catches YOU off guard), then your practically NAKED without this knowledge. In close-quarters combat, a lethal Jiu Jitsu fighter can even beat someone with a loaded revolver, or even a thug with a club or a knife (obviously, all the better if you have a knife of your own… that’s why I’m giving you a 20% discount to the entire SteelRiverCompany.com store. You will never be unprepared again! In close-quarters combat, someone is usually PAST the point of trying to take your wallet, and if you stay helpless on the ground or can’t break their hold on you, you’re a split-second from this guy killing you in COLD BLOOD. That’s why the in-close, REAL-deal, lock-him-up-and-choke-him-out tips that you’ll learn in this guide are completely PRICELESS in actual combat, especially if – like Dan – you AREN’T the biggest, meanest, or most athletic guy out there. This is not about power, it’s about leverage, and an arsenal of moves that mean FAST unconsciousness for any idiot or mugger who wants to get close enough to touch you. Discover how to quickly and quietly navigate through a dark house during an invasion and the safest spot in your house to hide your kids. Featuring Marine Scout Sniper and Discovery Channel Star, Adam Ticknor, who will show you how to protect and defend your house during an invasion. -The truth about having a gun. Just having a gun in your house does you no good. You’ll see exactly what type of gun to have and how to use it to protect the ones you love. Silicon Valley Bodyguard David Trimble shares his unique insights into protecting yourself, your home and your loved ones from home invasions, defending against armed attackers and rapidly identifying potential threats. -The best concealed carry gear in the business revealed. -Become a human lie detector in order to screen treats that may fool your loved ones. Swedish black belt and self defense expert Lars Fidler breaks down how to use the various parts of your body in different tough situations as powerful weapons in a street fight, regardless of your size or your attackers. -The one take-down move you will have in your pocket every time an attacker has the balls to come at you… so simple, so easy to remember, it’s like walking around with a loaded gun! -Instant arm-locks that disable your opponent and let you decide what’s next! As well as access to our ever-growing library of trainings and content. In the battle for your life - this is the library of knowledge you need! I wanted to make this amazing offer a total no-brainer for you – so I’ve decided to throw in one more bonus gift with your free offer today! You see, if you’re within knife range, you’re basically within grappling range. The fact of the matter is, someone might tackle you before you get your knife out – or someone might grab your knife and wrestle you to the ground – and in this circumstance – your knife might do you NO good at all. …So I’ve taken 12 of my favorite simple Jiu Jitsu choke techniques and put them only one bonus video training to give you the extra “fight-ending” tricks to literally incapacitate an opponent in SECONDS if he rushes you or tackles you before you get your knife out. These twelve chokes are a back-up plan so that even if you aren't ready with your knife, you have techniques and confidence to handle yourself at close quarters. And again – you’ll get it completely Free. Combine this wisdom with the “Lethal Library” of fast-action insights from self-protection experts, and a CURRICULUM for ripping bigger people to shreds with deadly Jiu Jitsu techniques, and you’ve got a combinations that’s dynamite – and a simple system to follow along with. 1. Immediate access to the SoS Academy - the training course that has redefined how to train for the most dangerous situations you could ever face. 4. A Special Firearms Training Course Called "Pistol Academy 101"
You’ll get unlimited access to the SoS Academy immediately. Your member login will be sent to your email immediately after purchase – if you have any problems logging in or accessing your materials, contact us directly here: [email protected] Your subscription will automatically renew for just $57/month until you decide to cancel. Here’s how it works: Order today and start learning the secrets experts know about how to survive in the crazy world we live in today. If, for any reason or for no reason at all, you aren’t completely satisfied - just cancel, and I’ll personally guarantee you get a complete refund of your purchase price. No questions asked. No hassles or forms to fill out. No problems at all. How can I afford to be so generous? Easy - since our founding, we've found that giving folks like yourself the highest quality training and products in the world and we know that it will make you come back time and time again. And we’ll still be friends. For me, I know for a fact the SEEING is believing when it comes to Dan’s amazing grappling moves (yes, they work against MUCH bigger attackers). When it comes to "Pistol Academy 101" you'll also see the exact grip, stance and techniques you should use (for your specific body type) so that you can shoot with extreme accuracy and so much more! And… when it comes to this Free offer I’m giving you… I know that FEELING is believing (if you’ve never experienced craftsmanship like this. And I know that you are going to love it). The “12 Jiu Jitsu Chokes For Self-Defense” video training, the "Pistol Accuracy 101" firearms training course, AND full, access to the “SoS Academy” program is all yours. And don't forget about my gift to you, you’ll get it Free! My free gift, the online video trainings and The SoS Academy could easily be bundled together and sold for $197.00 online, and – to be honest – I might wise up and not give these away anymore (I could lose my shirt here)! But as part of the experimental group who’s part of my “Hot List,” you’ve gotten to see this page and you can take advantage of everything for just $57 - like I told you, I don't know if I can ever send this out again. But, like I said, you have to act RIGHT now. 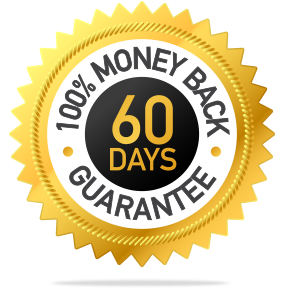 I have this one-time-only offer and multi-program package here for you right now, and if you order too late, you may be too late. I may have sold out or even worse, discontinued this offer all together! Don’t miss out on this. I am waiting for your order.